People form the link between strategy design and delivery! People are generally recognized as the most important source of an organization’s competitive advantage. Yet they are frequently the most misunderstood and least leveraged asset. People form the link between strategy design and delivery; they turn ideas into reality; they are the strategy in motion. Success requires a deep understanding of the fundamental complexity of this trickiest element: OUR PEOPLE. The criticality of leadership is well understood. 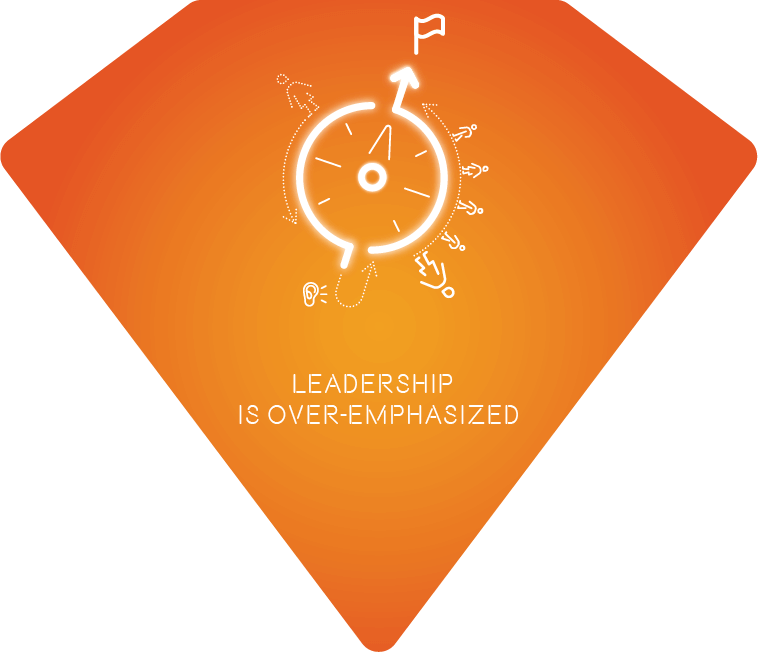 Senior leaders need to reach out to engage and activate the extended leadership team, convincingly speak with one voice on the change and powerfully model the new target behaviors. So, to make big things happen, be ready to definitively lead, but when the time is righ t also be prepared to follow. While we are conditioned to believe we must always lead to be valued, there is also a plac e and time to follow. Follow when someone else has greater competency or insight to address the issue at hand. Architect the conditions such that others feel capable and safe to step forward, and recognize that not everyone will want or need to lead a team. Leaders need followers to be successful. 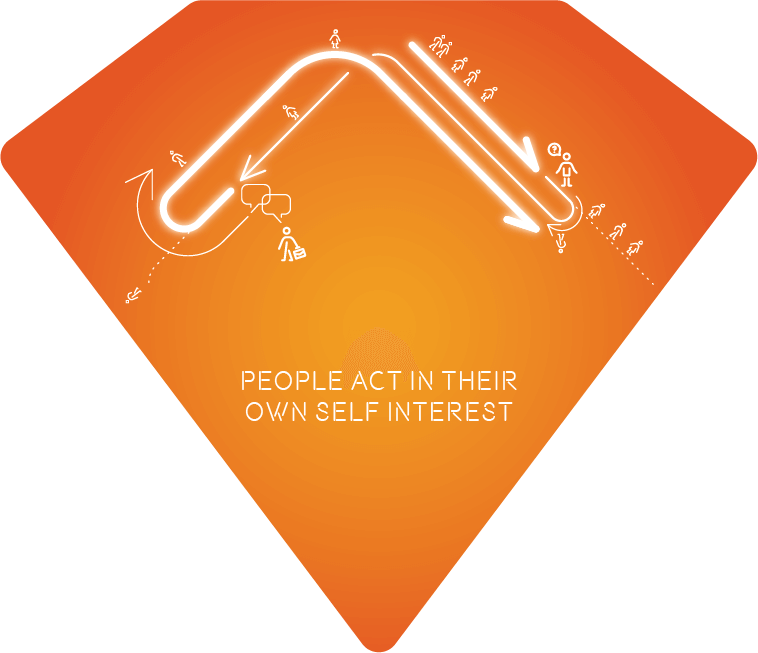 Make “follower-ship” a valued behavior. Rather than always looking for ways to lead, recognize when and how to take more of a backseat. Rather than always looking for ways to create more leaders, acknowledge and support the essen tial role of those who follow. Strategy requires having the right individuals who can each do their own thing and, when needed, work well together. When the task requires it, teams can break down silos, add diversity to the creative process, and generate thinking and responsiveness far greater than the sum of the individuals. Care must be taken to craft such teams – whether from internal or external talent pools – with the right mix of capabilities and skillsets and explicitly set the conditions that allow people to work collectively. 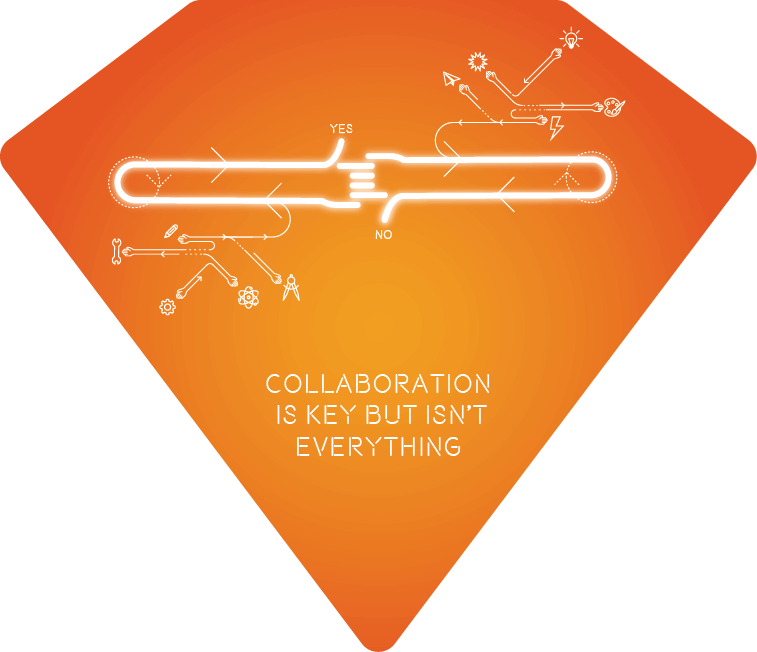 Recognize that collaboration takes time and coordination, and not all initiatives require team effort. When appropriate, give the right individuals the authority to make decisions and drive execution on their own. 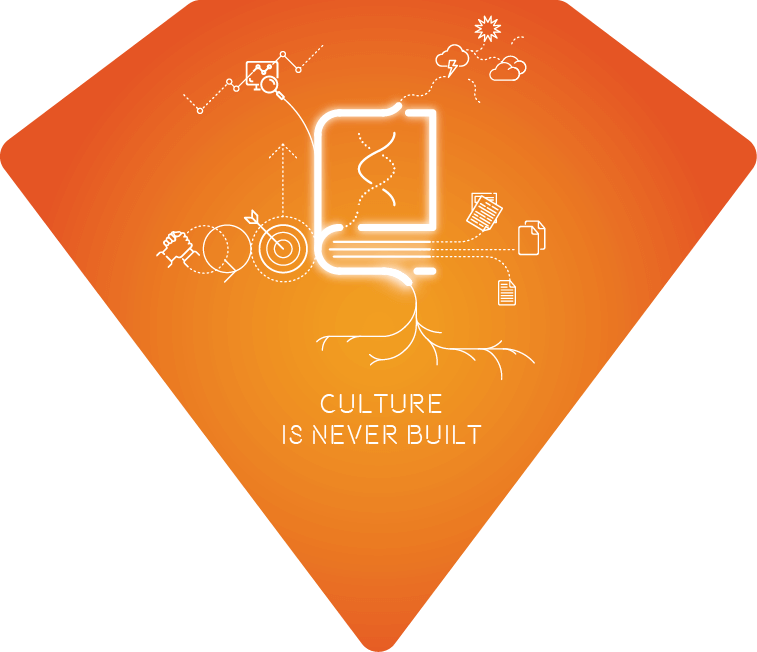 Culture and strategy are, more than ever, entwined. Not only must culture support strategy, it must move in lock step with a dynamic, evolving strategy where the behavioral recipe for winning is not fixed or static. While culture cannot be built directly, nor accomplished through a blueprint or a checklist, it cannot be left to chance. It requires understanding the intricacy of culture, as a dynamic and living “organism” made from the collective tension between individuals’ behaviors and responses. Navigating that tension in an increasingly complex and changing environment depends on a shared sense of purpose and legitimate trust among employees. 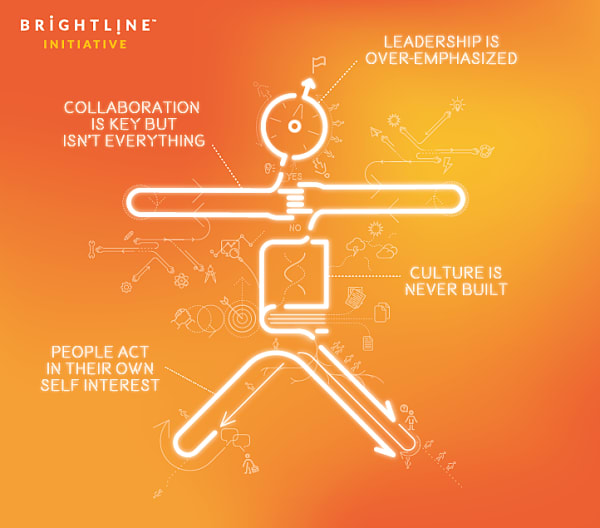 Coupling culture with strategy is a complicated and never-ending endeavor in shepherding influences, assessing outcomes, and adjusting focus to build behavioral advantages that deliver winning strategies. Change is a human endeavor and, as such, can make delivering strategy a messy and complicated process. People have different interests, motivators and tolerance – which influence behaviors and create potential misalignment and barriers. Their response may not appear rational at first, because change is often processed as a threat. New strategies always require different ways of working, so leaders must recognize the time and effort required to shift individual interests, mindsets and behaviors. Even when people may be convinced that the changes are in the collective interest, their individual behaviors may not align if the personal cost of change seems too great. Look for these entrenched behaviors and create the conditions and dialogs to make change individually desirable and at the same time aligned with the broader interest. Always treat people with respect, but be explicit and resolute on the consequences for not participating in the new behaviors, or reverting to old ways of working. Accept that not everyone will make the shift.